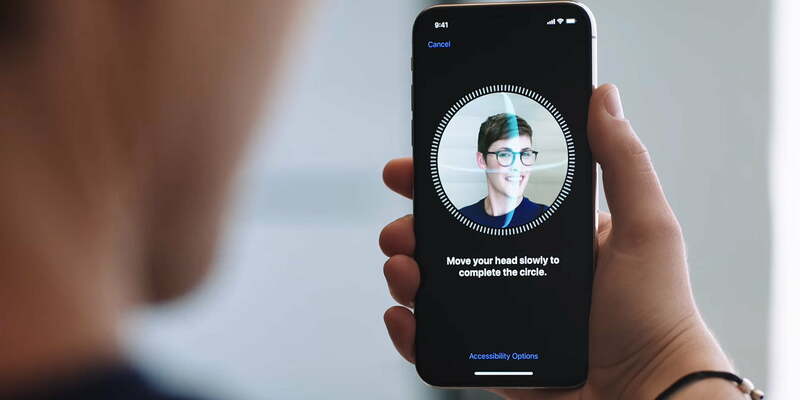 Face ID was first officially unveiled by Apple at its September 2017 iPhone event, allowing individuals to securely unlock their devices thanks to a newly designed facial recognition sensor. A recent patent filed by the company with the European Patent Office shows that the system might become just a bit more advanced, taking into account retinal scanning. The newly discovered patent also makes references to a stand-alone keyboard containing a built-in Touch Bar with Touch ID. A patent doesn’t necessarily guarantee that Apple will be implementing new technology into its lineup. Companies commonly patent ideas for the sake of holding intellectual property close, but it is fascinating to learn that Apple is looking at alternative biometric authentication options for its users. Face ID makes a 3D model of a users face and compares it against a stored model; all this is possible thanks to latest iPhones and iPad Pros containing both an infrared dot projector and an infrared camera for creating highly detailed depth maps. The security of Face ID is not to be understated either, unlike previous implementations of face recognition from past companies, including Samsung, Face ID uses 3D mapping, not flat imagery. The result, Apple claims, is that the chance of someone unlocking your phone secured by Face ID is one in a million. On the other hand, retinal scanning could introduce even higher security, preventing lookalikes, such as a twin or close relative, from attempting to unlock your phone with an additional layer of protection. Apple wouldn’t be the first company to attempt using retinal scanning on its devices. Samsung introduced the ability to unlock its Galaxy S8 with such a feature in 2018; however, if Apple opts to use retina scanning as a secondary authentication layer, it could make its system all the more secure for users. With Apple likely preparing to move its authentication system to its Mac lineup at some point soon, the new feature could help to meet stricter security standards. Lastly, although we have seen patents noting Touch ID on stand-alone keyboards in the past, it is worth noting that Apple’s most recent offerings continue to illustrate the possibility. Within Apple’s European Patent Office filings, the company continues to depict what appears to be a Magic Keyboard with an integrated Touch Bar. Overall, Apple doesn’t look to be stepping down its focus on biometric authentication for any of its devices.